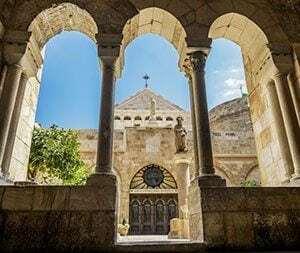 Our half-day tours include some of the most popular destinations in Israel, and best of all, you get to choose exactly what you want to see and when, all in your preferred language. Spend some time exploring Jerusalem, Bethlehem, or Jericho. Our half-day tours have scheduled departures from Jerusalem, Tel Aviv, Herzliya, and Netanya, making it simple to customize your trip. Our daily excursions are sure to be the highlight of your stay in the Holy Land! Travel your way with options for business or economy class day trips. Economy class offers tours with up to 50 passengers, or enjoy our business class tours with a maximum capacity of 19 passengers traveling comfortably in a minibus. How do our half-day tours work? 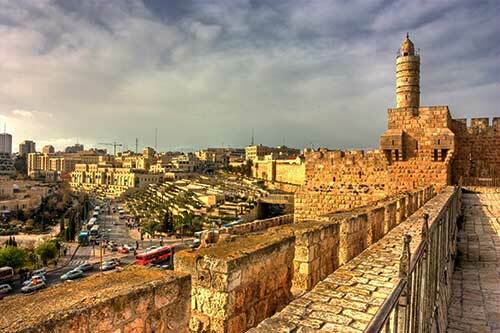 Choose from 3 half-day tours, which depart from major hotels in Israel. Our tours feature guides who can communicate in a variety of languages for your convenience. All you need to do is choose the schedule best for you, let us know your departure date preference, and we will handle the rest. Select your daily tour itinerary. Enter your contact info and traveler details. You will be able to confirm your reservation before paying with either PayPal or credit card. If you prefer, you can contact us by email and one of our agents will be glad to help you process your reservation. Once the reservation is complete, you will be contacted by your personal travel agent who will be available to you 24/7 both pre-departure and after your arrival in order to answer any questions and ensure a pleasant experience. All set! We’ll see you there! At Mazada Tours, customer satisfaction is at the core of everything we do. If you don’t see what you’re looking for, we offer tailor-made tours to match your needs or unique interests. Our dedicated travel representatives will gladly work with you to create your perfect day tour. Visit Mount Of Olives, Mount Zion, Tomb David, the Old City of Jerusalem. Departs daily from Tel Aviv, Jerusalem, Herzliya & Netanya. Visit The Church of the Nativity, Church of the Milk Grotto, Shepherd’s Field. Languages: English, Spanish, German & French. 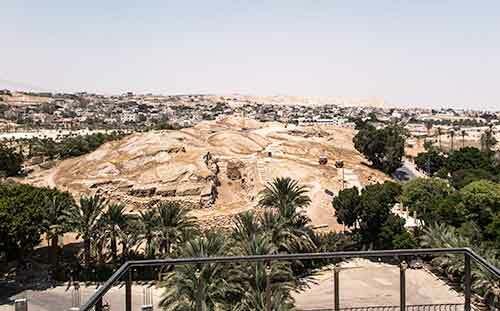 Visit Shepherds’ Field, Mount of Temptation. Departs Monday, Wednesday, and Saturday from Tel Aviv, Jerusalem, Herzliya & Netanya.